KOOL April Nites Race In Redding, Who's Going? 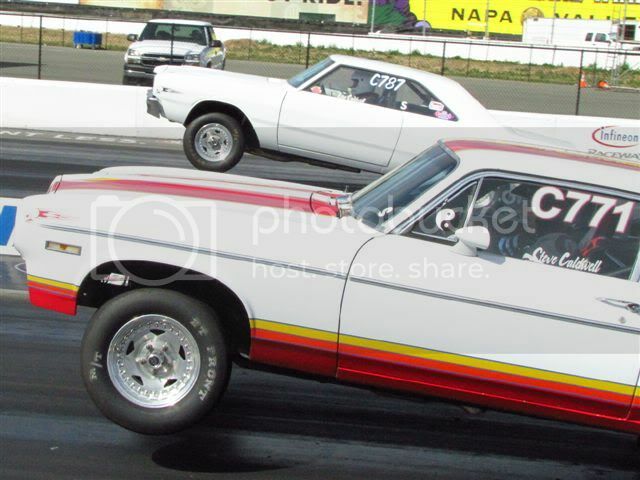 Quote Reply Topic: KOOL April Nites Race In Redding, Who's Going? We are just a few weeks away from the biggest and best race on the Redding 2010 schedule. It's the annual Kool April Nites 2 day event which is set for April 16-17 which will include a Big Bucks race. Please note that April 16th falls on a Friday and is tied in to the big Custom Car show that is held every year in down town Redding followed by the cruise right after to the drag strip where the real fire works begin. In the past, Infineon racers have done very well and I would like to see another great showing for this big event which attracts a lot of spectators that fill the stands and line up 2-3 deep along the fences. I will be there to do the announcing for both Top Comp and West Coast Top Sportsman Associations and you will not have to worry about getting in a lot of runs here as their car counts do not approach those that you see at Infineon. Come on up, it's a easy tow, mostly flat and just a few hours up the road and a short distance off of I-5 in Anderson California. The track is located right behind the Redding Airport at the very end of the Old Oregon Trail. Here is the link that will give you all the details. I can't hardly wait to get there and see whats new. Bob and Joye Lidell keep making improvements. And the fans are so much fun lined up on the fences waving and clapping. The cars that show up from the car show are beautiful. You are so right and name me another place where you drive down the return road where the fans applaud you as if you were John Force. We had a great time there last year and if anyone is planning on attending, now is the time to book your Motel/Hotel arrangements. I hope we can get a bunch of the Infineon racers to join us, last year Sharon Power had them on the edges of their seats with her wheel standing MP Motorsports El Camino and became a huge crowd favorite. We are going up on Thursday night. Last minute decision to go and have some fun. We will have both cars...See ya up there! We now decided to pack extra weight so we can put the dart on the bumper on Friday night!! Can't wait!! It will be good seeing you both there. I should arrive there around 4 PM on Friday....would have liked to left earlier but Lynette doesn't get off work until noon. If you set Lisa's car up like I suspect you will to do those big wheelies, watch the crowd up there adopt her as their favorite. Those people go nuts over cars like that and all I have to do is to look back to last year and Sharon Power's MP Motorsports El Camino. I hope we get a few more of the Infineon guys and gals to come up and join us...typically Infineon racers do very well here and always manage to take some of their money in the brackets. Weather should be great...no rain expected and dry with temps on the 70's. congrats to Lisa Caldwell for her runner-up finish in Redding. Thanks Peanut! It was a fun event with alot of spectators. With a few improvements to their schedule, it could be a really great event. Bob Liddell and the crew are pretty new, as they are first to admit, and were very open to our suggestions. In the 5th & 6th rounds, my car spun the tires so Steve let Bob know the track went away. So, Bob opted to spray and prep the track for us in the final and I hooked great.